Unicorn Riot is a volunteer-operated, decentralized, 501(c)3 educational non-profit media collective comprised of multimedia artists and journalists. Unicorn Riot’s purpose is to amplify the voices of underserved communities, and to further understanding of dynamic social struggles. We are committed to producing original content which expose the root causes of social conflict and explores sustainable alternatives in today’s increasingly globalized world. Our primary strategy for media production is to utilize a variety of programming.  Unicorn Riot currently operates a multitude of programs, including; live video streams, investigative reporting, short-form documentaries, podcasts, and articles detailing a variety of issues. We aim to provide our viewers with the continued ability to gain new and up-to-date knowledge, and become involved in further discourse on a wide assortment of topics. Unicorn Riot has over thirteen members on staff and five contributors. Our members have a wide range of experiences and backgrounds. Much of the core members come from decades of experience utilizing multimedia to document social/environmental justice movements with some coming from decades of experience organizing, as well as some having administrative experience working for non-profits. As one entity, our media collective is passionate, creative, and determined to become a leading force in independent media.